Hyderabad Metro : On Social media new Commuters of Hyderabad Metro started writing their opinion about metro fare and riding experiences. They are not happy with metro fares and demanding reduction of Metro fares are getting stronger. Hyderabad Metro Rail started its services from November 28, 2017 after a grand inaugural ceremony by Prime Minister Narendra Modi. Commuters hinted at the fares coming in the way of Metro Rail becoming a preferred mode of transport. “I travelled from Rasoolpura to JNTU paying 60 in fare and another 20 for connecting share autos to reach my workplace. The same distances costs much lesser in Delhi Metro. Moreover, even in terms of time taken, it is similar to driving in a car,” said Ashish Mehta in a post. Many pointed out that the fares are higher than other Metros. A citizen, Madhu Lagisetty, tweeted: “#Hyderabadmetro Great ride but a costly ride!! I think high ticket cost will result in low volumes, neccesitating far higher priced tickets for viability. It will be a vicious cycle! Hope for the best!!. (sic)” He was tweeting from the handle @lagisetty. 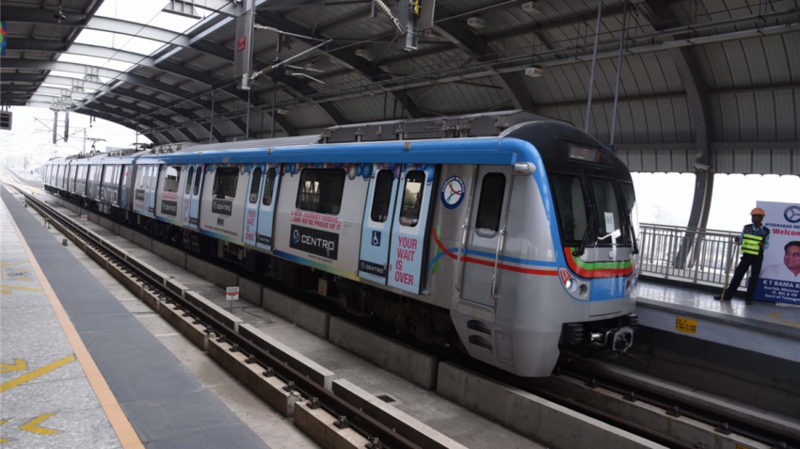 A group, HMDA media watch, in fact suggested that a fare revision should be conducted and public opinion should be sought to make Hyderabad Metro more affordable. Commuter Himavanth V posted, “The common compliant everyone has regards to Metro is parking facilities near stations and high ticket prices. Government has to look into this immediately and make public transportation more affordable and convenient.